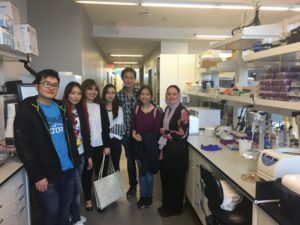 JUNE 15, 2018 -- Microbiome Insights was pleased to welcome an enthusiastic group of post-secondary students from Vancouver's Alexander College this week for a laboratory tour and presentation. During the visit team member Ben Tantika, Senior Next-generation Sequencing Technician, described the cellular and molecular biology techniques used in research labs to answer scientific questions. The second year biology students heard about the importance of knowing the ways in which biological sciences techniques can be applied in both research and industrial settings. 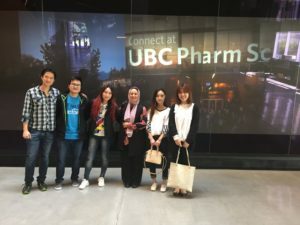 Tantika also helped the students understand how a career in life sciences can take shape, giving anecdotes about his own previous experiences as an international student studying at UBC Okanagan.